What is Pubslush and how can authors use it to get the word out, create some buzz and stand out from the sea of books flooding the marketplace? 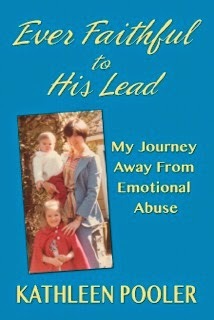 In this interview Kathy Pooler, author of Ever Faithful To His Lead: My Journey Away From Emotional Abuse, shares her experiences with Pubslush, a global crowdfunding platform. It allows authors to raise funds, collect pre-orders and market upcoming book projects. Pubslush also gives authors an opportunity to gauge audience response for their project. "Run by mother-daughter team Hellen and Amanda L Barbara, this American start-up is focused on providing crowdfunding services tailored to the needs of authors, agents, self-publishers and small presses . . ."
The article goes on to discuss the company's marketing tactics and fees. I've met Kathy many times. 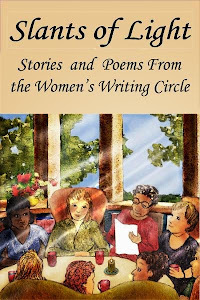 We've attended writing workshops together and she taught a journaling workshop in February 2013 for the Women's Writing Circle. Together, we have traveled the journey of memoir. 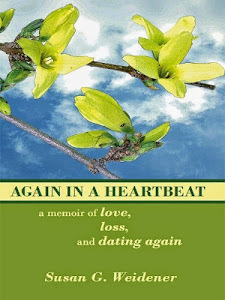 My review of Kathy’s memoir can be read here. Q: Would you use Pubslush again? Yes. Overall, participating in a Pubslush campaign was a positive experience for me. It’s a lot of hard work on the front end, developing the focus of your campaign and deciding on rewards but I found that the process helped me to hone my message and establish a solid foundation for the book promotion phase of the publication journey. They offer pre-marketing strategies to help build your audience and spread the word, which was exactly what I wanted. If you have a successful campaign (achieve 100% funding), your book remains on their webpage forever with links for ordering. Additionally, now that I am in the marketing phase, I feel like I’m standing on solid ground with materials prepared—press release kits, and synopsis, because of my Pubslush campaign. It’s like a practice run before your book is even published. Q: How much is involved for the author in terms of shipping books, writing thank you letters? A lot of time and effort, daily during the campaign, is necessary and then again afterwards when the book is published. At that time the rewards need to be fulfilled in a timely fashion. Q: Did it ever feel "uncomfortable" to you, like being a saleswoman? Indeed! I admit I am one of those "self-promotion-phobic" writers who do not want to come across in a selfish manner. 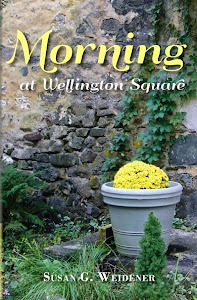 What helped me over this hump was to find a way to connect with my message and purpose for writing my memoir in the first place. Once I made that connection to spreading a message of hope, courage and resilience to others suffering from abuse through my story, I was able to move forward with purpose. Q: Did it help you open dialogue with readers, and if so, how? Absolutely! Not only did I do blog, Facebook and Twitter shout-outs, I sent emails messages and personal notes to supporters. It is heart warming to have so many people rally around you and inspire you to keep going. Q: How does Pubslush help find readers in advance of publication? You can create buzz about your book and its message before it is published. If people know ahead of time about the book, they can decide if they want to read it. And if you can get people excited about reading your book, that’s even better. I had already involved many people through the beta reading process and was able to request and receive advanced reviews and endorsements. Q: Where did your money go? So far, the money has gone towards fulfilling the Pubslush reward—postage, promotional materials such as posters, bookmarks, supplies for my book launch party. My funding level was $2,500. I contributed 10% of that ( my choice) to their child literacy fund. I donated $200 to the local Catholic Charities. I met with Ginger Cato, director of community education for the Domestic Violence Program with the local Catholic Charities (see photo above) and have a speaking engagement about domestic abuse scheduled at the local community college on October 23, 2014. October is National Domestic Violence Awareness Month. 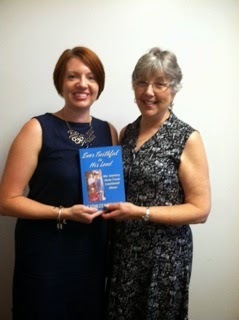 About the Author: Kathleen Pooler is a retired family nurse practitioner. 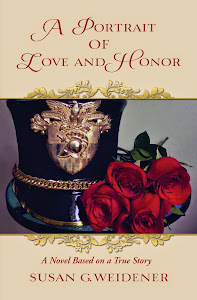 She is working on a sequel to Ever Faithful to His Lead called Hope Matters: A Memoir about how the power of hope through faith in God helped her to transform, heal and transcend life’s obstacles and disappointments: domestic abuse, divorce, single parenting, loving and letting go of an alcoholic son, cancer and heart failure. She believes that hope matters and that we are all strengthened and enlightened when we share our stories. Kathy lives with her husband Wayne in Amsterdam, New York.